What Do WTF Memes Mean? The point of WTF memes is that there is no meaning, hence the question "what the eff?" How Are WTF Memes Used? 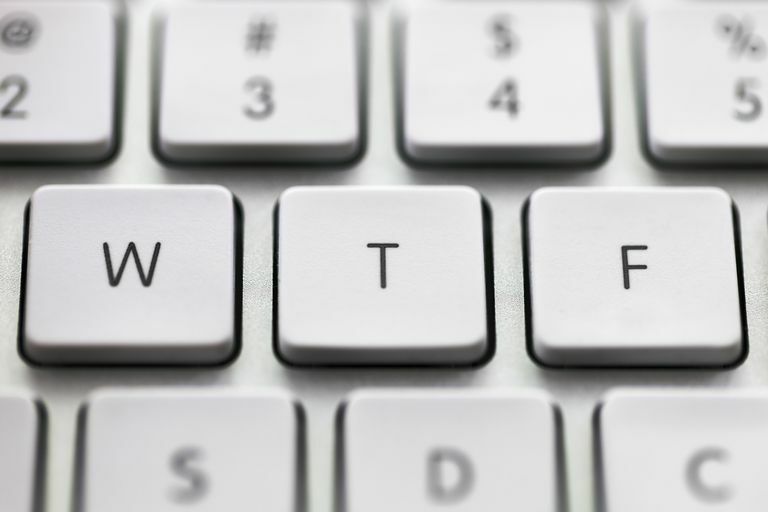 WTF memes are used in many different ways: nonsensical images, bad design, bewildering situations, and more. Anything that makes ask that fateful question is a go. Image: Two bathroom stalls with very low toilets. Meaning: What's the point of a stall if it offers no privacy? Image: A man in a safety vest with mustache-looking facial hair on his chin. Text: When you sneeze so hard, your mustache changes lips. Meaning: There's no way that mustache got there any other way. Image: Bowl of ice cream sitting atop of WikiHow printout called "How to Die Peacefully." Meaning: Is there any better way to die than with a pint of ice cream? Looks like the toilet installer and the door hanger did not collaborate on this one. Sometimes a 'stache likes a change of scenery. We’ve all thought it, right? Just a cow standing upright or a farmer with a sense of humor. Violence in the hotdog community is a serious issue. A revolutionary method for boiling perfect al dente pasta? Pooh Bear does not appreciate being memed.